The Ravens plan to trade former Super Bowl MVP Joe Flacco for a fourth-round draft pick. ENGLEWOOD, Colo. — Joe Flacco will try to go from Denver Broncos tormentor to savior. The person spoke to the AP on condition of anonymity Wednesday because NFL rules prohibit teams from discussing trades until the start of the league year on March 13. 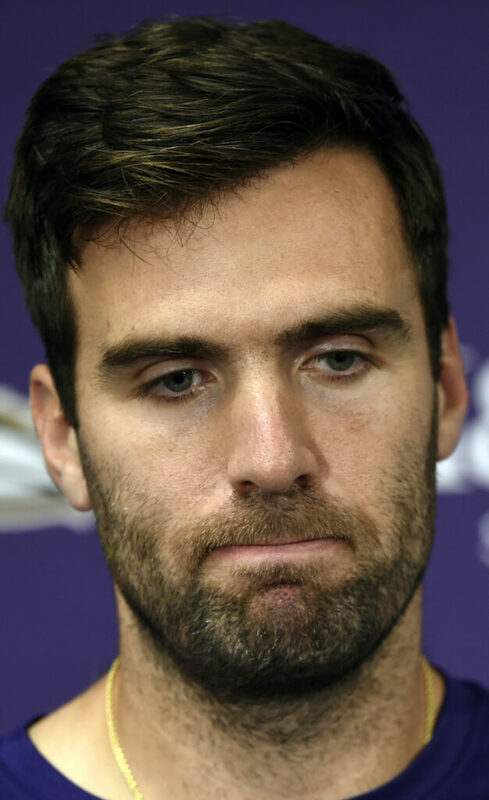 Flacco, MVP of the 2013 Super Bowl after a miraculous win at top-seeded Denver in the AFC divisional round, became expendable in Baltimore with the emergence of rookie Lamar Jackson, who led the Ravens into the playoffs after Flacco got hurt. The Broncos again needed an upgrade at QB after Case Keenum’s middling debut in Denver, where a 6-10 finish led General Manager John Elway to turn to Vic Fangio, his fourth head coach in six seasons. PATRIOTS: According to ESPN, New England will bring back interior lineman Brian Schwenke on a one-year deal worth $895,000. He’ll be expected to compete for one of the depth spots at center or guard on the offensive line. Schwenke signed with the Patriots in July and was on the 53-man roster early in the season. He appeared in three games in 2018, playing just four snaps on offense. On Nov. 6, Schwenke was placed on injured reserve with a foot injury. He spent five seasons with the Tennessee Titans at the start of his career, starting 30 games over those five years before coming to New England. CHIEFS: Kansas City owner Clark Hunt is replacing the late Bob McNair as head of the NFL’s influential financial committee. Hunt has been on the committee for seven years. McNair passed away in November. New England’s Robert Kraft is also a member of the committee.